If you think Tab browsing is cool and easier, then you may want it on your Office applications such as MS Word and MS Excel. 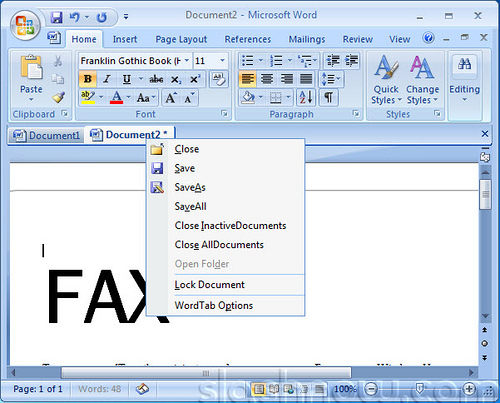 With OfficeTab, you can add tabs to Word, Excel and PowerPoint, so you can switch between docs more easily. Download the latest english version of OfficeTab.